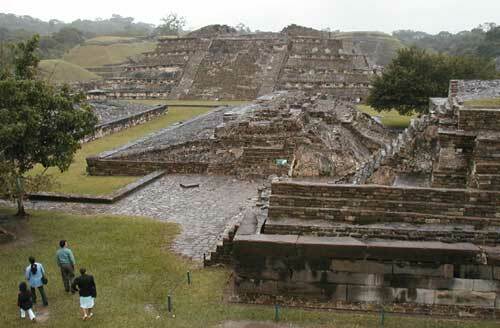 I feel very lucky to have been to El Tajín, deep in the jungle and far from the usual tourist routes. Kelly and I were there in 2003. Its heyday was probably from about 800 AD to 1200 AD, and it likely had a population of something like 25,000 people. Some friends of ours happened to go there on the spring equinox, and they had a completely different experience. The equinox is a very big deal here, going back to ancient times, and El Tajín was full of people, all celebrating and enjoying. Our friends had a great time, but I’m glad I went when it was quiet.